Professional High Quality Plumbing and Heating Services in Berkshire, Hampshire, Surrey, and surrounding areas. With over 30 years of experience, we pride ourselves on quality workmanship, reliability and outstanding after care service for a vast and varied range of plumbing and heating services, including under-floor heating, high efficiency boiler replacements, un-vented hot water installations, fully designed bathroom installations, water softener installations and all minor plumbing and heating repairs. 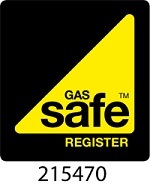 Menwest Plumbing and Heating Limited are based in Reading and are affiliated to the Gas Safe Register and OFTEC. We welcome all customers from the general public to light commercial sectors. We specialise in high-class installations, striving to achieve a standard that creates complete satisfaction. Whatever your requirements, our aim is to provide complete, professional service from start to finish. From a listed building to a state of the art new construction, we can provide a full service from design to completion for all aspects of your heating, plumbing and mechanical requirements. Our estimates are free and our service is provided without compromising on quality. We will always endeavour to provide our customers with complete satisfaction with the comfort that their money has been well spent. We are the professional service in the area. We are very proud of the standard that we achieve in what we believe should be the benchmark for all of our competitors. We have vast experience and demonstrate a conscientious approach to all our customers' requirements. Please don't delay. Call the professionals today!